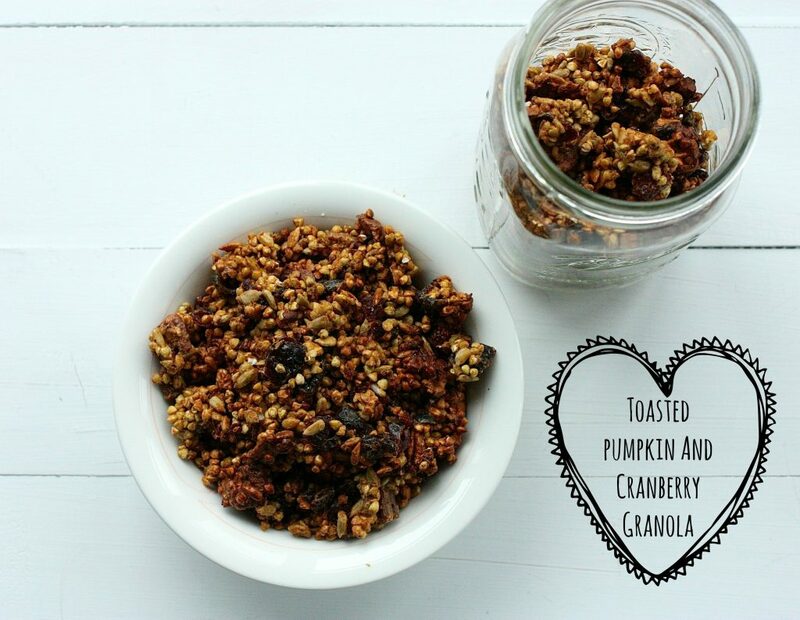 When I prepared this gluten free, vegan toasted pumpkin cranberry granola last week, my first thought was that it was too toasted. A little burnt, if we’re being honest. My second thought was that it was probably too toasted, but what did I care? It was absolutely delicious. My suspicions were confirmed when the two friends I shared it with as holiday gifts texted to tell me how much they’d loved it. One even called it the best she’d ever had. That is high praise, so I’m super excited to share the recipe with you today. For this recipe, I really wanted the toasted flavor, but I still tested it int he dehydrator, which means you can prep it either raw or cooked. I do recommend the toasted version: it’s more flavorful! 1. Pre-heat your oven to 325 F.
2. 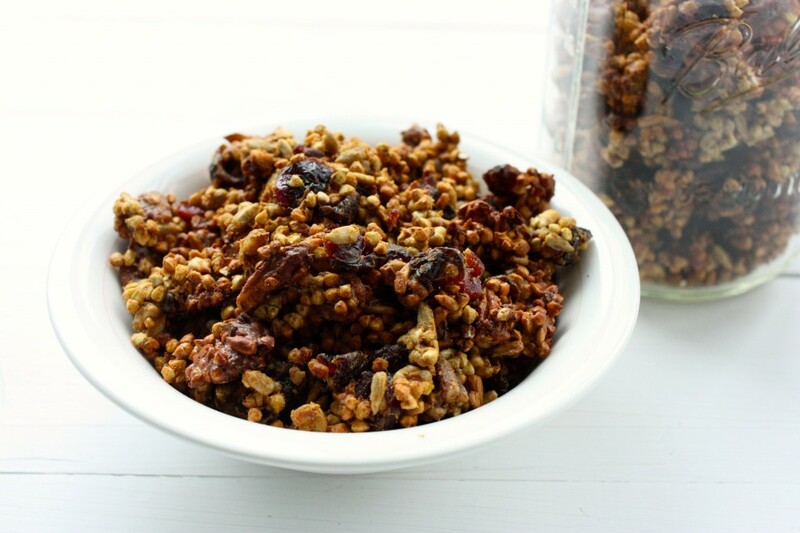 Mix the buckwheaties, sunflower or pumpkin seeds, pecan, cranberries, and flax meal in a large mixing bowl. 3. 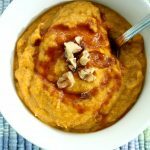 In a blender, blend the syrup, pumpkin, almond butter, coconut oil, vanilla, cinnamon, ginger, nutmeg, and sea salt. Pour the mixture over the dry ingredients, and mix thoroughly. 4. Oven option: Spread the granola onto a parchment lined baking sheet. Bake for 25-30 minutes, or until it's quite toasty and fragrant. Start checking it at the 18-20 minute mark, to be sure it doesn't burn. Dehydrator option: Dehydrate granola at 115 degrees for 8 hours, mixing it around a couple of times. 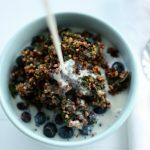 While I challenge you not to prepare this granola and eat it all yourself within days (or, um, hours), it makes a perfect holiday gift, too. 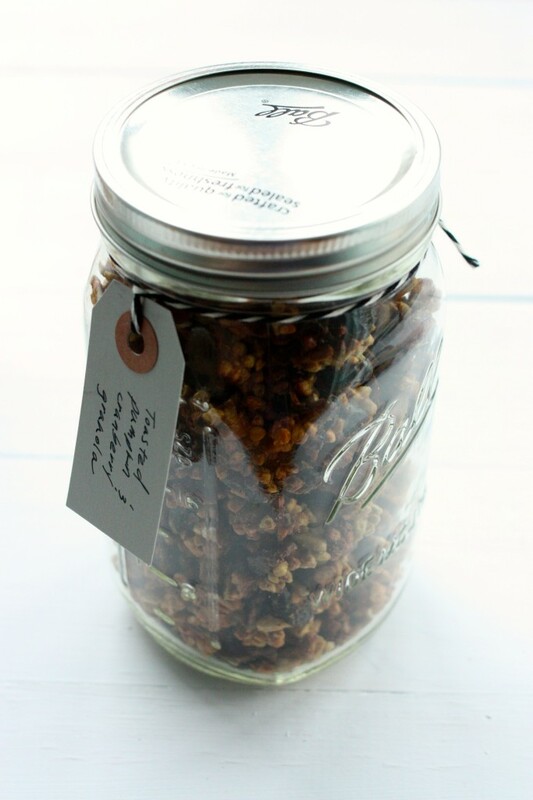 If you’re looking for something cute to gift with your granola, you can try a nut milk duo! 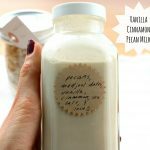 I’ve been giving folks a container of vanilla cinnamon pecan milk, along with Brazil nut cacao milk (a new favorite–recipe to come). A really cute, and delicious gift. Tomorrow, let’s take a break from edible giving, shall we? Instead, I’ll be sharing a round up of holiday-ready vegan meals. See you soon! You can safely say that *both* friends called it the best they’d ever had! 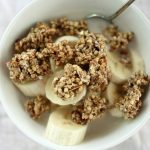 This looks like the best granola ever! It looks wonderfully crunchy and clumpy, just how I like it. I can imagine how perfect it would be drowned in creamy nut milk. 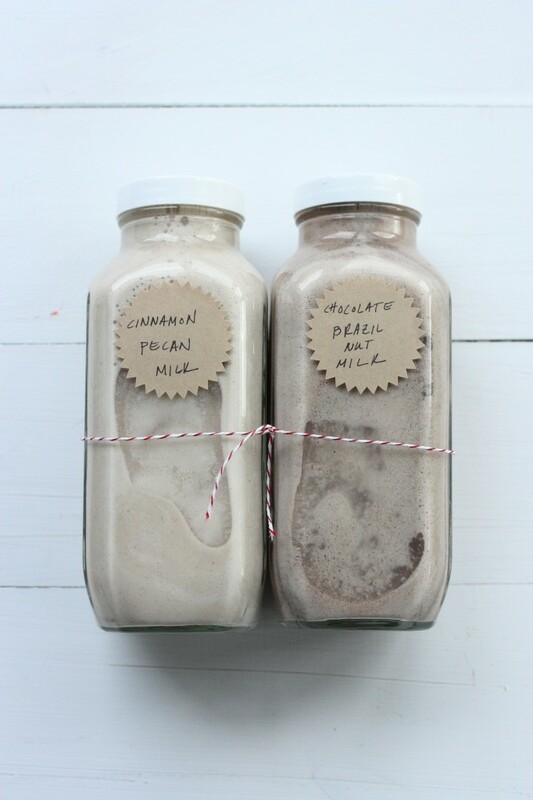 Yes — the combo of that and the cinnamon pecan milk was to die for. This is PERFECT. As you know, with GD I have to watch my carb intake & most cereals are totally off-limits. But this looks like a great ratio of fat/protein/carbs. So excited to make it. Oh, I’ll do this. Granola is my favorite food group. 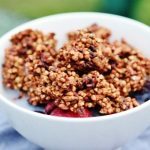 I think I’ll do a half-raw compromise – because if I bother to sprout the buckwheat I’d rather keep it raw. But pumpkin seeds in particular are just better toasted, so I’ll toast them separately and dehydrate the rest. Gena! Have you tried chocolate brazil nut milk from Sun in Bloom, that café in Brooklyn? I was hesitant to try it at first – but it’s delicious. I’ve totally had it. SO. GOOD. This looks amazingly delicious with great texture, thanks! Ha! Yes, that’s kind of what happened in my home. I made carrot cake granola using carrot puré instead of canned pumpkin. It’s delicious! I also added walnuts and coconut flakes and used raisins in place of cranberries.